Home Articles Spirit or Demon? This is an article I have to start with a bit of a disclaimer. Although WISPS carries out their investigations with an eye toward science , it’s difficult to even begin to delve into the topic of an afterlife, much less the difference between spirits and demons without also delving into religion. Much of what you are about to read is information I have gathered from religious classes, scriptural sources, personal experience, and a lot of personal study into the works of others, particularly Ed and Lorraine Warren and John Zaffis. There is so much information to impart that I am going to have to be selective in what I present. I will therefore try and keep it basic. If you believe you are experiencing a demonic “haunting” contact me immediately.WISPS can and will help. I’m not even sure I particularly like the term demon to differentiate between demons, and other types of spirits; however the term is a common one used worldwide and familiar to most. Therefore I will stick with the term. The term demon conjures up visions of red skinned beasts with sharp teeth, horns and hideous visages. I suspect, based on scriptural reference, the reality is much less dramatic, although no less evil or sinister. between a human spirit and a demon. It frustrates me and most in this field when religious types denounce all spirits as evil making no allowance whatsoever for the difference. I have seen numerous cases of a spirit seeking to comfort a loved one, or otherwise help someone. These are not the actions of a malevolent being, but acts of love and kindness. Before anyone gets too upset I am going after “religious types” you must understand I am one. In the articles section of the WISPS website you will find several articles on the theory of what ghosts are. I highly recommend you read them as they give some very good insight as to what spirits may be. The most basic answer is ghosts are the spirits of humans who have passed on to the next realm, the spirit world if you will. Demons have been described as Satan’s fallen angels, or evil inhuman spirits who have never had physical bodies. Demons despise mankind and seek to destroy God’s creation here on earth. Their ultimate goal being to possess our physical bodies, and also cause our deaths. During a regular haunting a ghost may try and get someone’s attention, or repeat an act but the level of activity during a regular haunting generally stays rather tame in comparison to a true demon. A demonic “haunting” on the other hand is very different. A demonic haunting will start out very similar to a general haunting. A demonic haunting will start out very slowly, but it will progress and become worse and worse and the entities seek to oppress and overpower their victims. The activity will become more and more focused on tormenting the individuals the demons are targeting. The torment can range from acts that terrify those targeted to physical attacks. The demons will seek to emotionally and psychologically wear a person(s) down with relentless fear and torment until they essentially give up and surrender. Once a person has reached that stage they are opened up to the demonic entities possessing and controlling their bodies. How does a demonic haunting start? There are several ways a demonic presence can gain a foothold in someone’s life. As a general rule they have to be invited in. This can be done in a number of ways. Demons are by their very nature highly intelligent, cunning, liars, infinitely patient and filled with pride, envy, and hate. Oftentimes demons will mimic something seemingly good, or use their cunning to trick their way into people’s lives. A prime example of this is the Annabelle doll, a true story protrayed in the movie The Conjuring. The link to the actual story without the Hollywood fluff is here. In the case of the Annabelle Doll, the demonic spirit tricked the two women into believing it was the spirit of a child and gained entry into the women’s lives when it was invited to inhabit the doll. 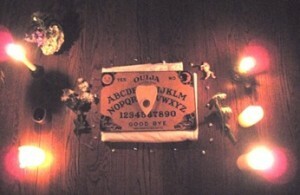 Demons can be invited in inadvertently through means of divination such as Ouija Boards, Trance Mediums, Automatic Writing. This is one of the reasons WISPS doesn’t use any of these things. Demons can also be inadvertently invited to a location because of gross sin, excessive substance abuse, suicide or other repugnant acts. I remember being fascinated by an account from a detective investigating the serial killer John Wayne Gacy’s home. The detective described the feeling inside the home as unnaturally dark as if the lights weren’t putting out as much light as they should be, and describing the home as feeling dark and oppressive. The detective further went on to describe the feeling inside the home as if someone were watching him. Although not proof of demonic activity inside the home given the feelings described are common with a demonic presence. The number of murders that likely occurred inside the home and the horrors that occurred there likely attracted and invited malevolent forces in. There are also those who intentionally seek out these demons in hopes of gaining power. A quick search of the internet will quickly reveal several methods for doing just that. In reality elaborate “spells”, incantations, or rituals are all fluff. I am inclined to believe a demon will gladly enter a person’s life with a simple invitation. Once invited in demons are infinitely patient. They may not manifest at a location for years after they have been invited in. They can bide their time waiting for the perfect target or opportunity to come along before they become active. Once the right target begins residing in the home the demonic haunting will begin. Once a demonic haunting begins the malevolent entity will target one or more inhabitants of the location. 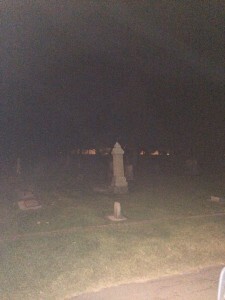 A demonic entity can follow that target from location to location, it is not confined to the location of the haunting. 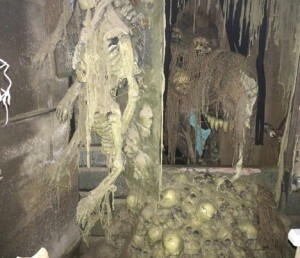 Demonic hauntings will often be accompanied by foul unexplained odors that manifest then are quickly gone, physical attacks, scratches on people, rapping and tapping on walls, moving objects, a sense of being watched, and unexplained animal noises such as swine. The atmosphere in such a location can often be described as dark as if lights aren’t putting out as much light at they should. Personality changes can also occur with individuals targeted by demonic entities. Demonic entities will often target individuals who are emotionally unstable, under considerable stress, or otherwise compromised. Teenagers are oftentimes the targets of such attacks. Demonic hauntings can be difficult to get rid of without the proper help. Story after story of failed “exorcisms”, or a need for repeated exorcisms to get rid of a demonic entity abound. It is my personal experience, and opinion that it does not need to be that difficult. If you are experiencing a malevolent haunting contact WISPS. We can and will help.